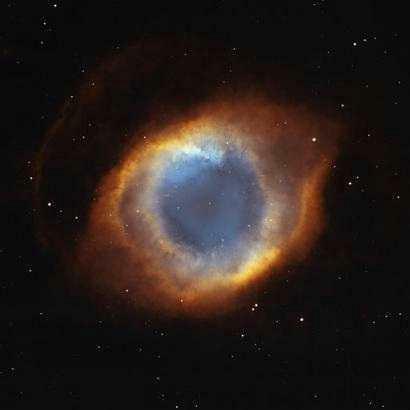 "The Eye of God" Picture From Space by the Hubble Telescope-Truth! - Truth or Fiction? "The Eye of God" Picture From Space by the Hubble Telescope-Truth! “The Eye of God” Picture From Space by the Hubble Telescope-Truth! According to the Hubbel Telescope site, this particular picture if of the HELIX NEBULA, which is about 650 light years from earth. It is said to be the nearest planetary nebulae to earth. A planetary nebula is gas around what used to be a star much like our sun. The photograph is not just from the Hubble telescope, but is a composite of data from the Hubble telescope and from Kitt Peak in Tucson, Arizona.